List the indications, contraindications, and limitations of soft tissue and musculoskeletal CUS. Identify clinically relevant sonographic anatomy including skin, soft-tissue, bones, muscle, tendon and lymph nodes. Recognize pathologic findings and pitfalls when evaluating of the following for cellulitis, abscess, foreign body, fracture, tendon injury, joint dislocation and effusion. Tayal VS, Hasan N, Norton HJ, Tomaszewski CA. The effect of soft-tissue ultrasound on the management of cellulitis in the emergency department. Acad Emerg Med. 2006;13(4):384–388. Srikar, A BM. Sonography First for Subcutaneous Abscess and Cellulitis Evaluation. J Ultrasound Med. 2012:1509–1512. Gaspari RJ, Blehar D, Polan D, Montoya A, Alsulaibikh A, Liteplo A. The Massachusetts abscess rule: a clinical decision rule using ultrasound to identify methicillin-resistant Staphylococcus aureus in skin abscesses. Acad Emerg Med. 2014;21(5):558-67. Stone MB, Wang R, Price DD. Ultrasound-guided supraclavicular brachial plexus nerve block vs procedural sedation for the treatment of upper extremity emergencies. Am J Emerg Med. 2008;26(6):706–710. Vieira RL, Levy JA. 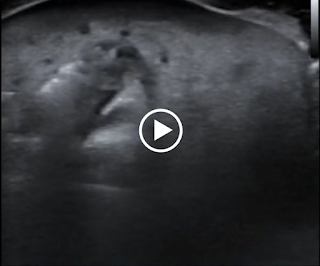 Bedside Ultrasonography to Identify Hip Effusions in Pediatric Patients. Ann Emerg Med. 2009.